July 30, 2013 by Ken Ward Jr.
We’ve had a few stories in the Gazette and on this blog about the recent proposals by FirstEnergy and American Electric Power to transfer greater ownership of some of their coal-fired power plants to their West Virginia-based subsidiaries (see here, here, here and here). Now, there’s a new report out that presents some of the evidence and analysis questioning whether the state Public Service Commission should approve these proposals. 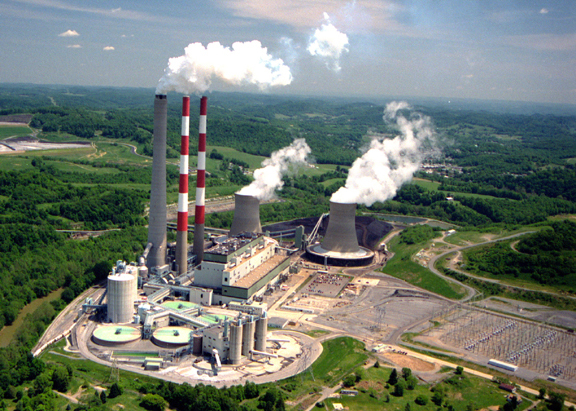 The report, Mountain State Maneuver: AEP and FirstEnergy try to stick ratepayers with risky coal plant, was put together by Cathy Kunkel of Energy Efficient West Virginia and by energy consultant David A. Schlissel. Kunkel and Schlissel served as expert witnesses for citizen groups that intervened in the PSC cases to argue against the plant transfers. … Neither proposal is in the best interest of the companies’ captive ratepayers in West Virginia, who would be locked into coal-fired generation, and its associated risks, for at least the next two decades. Furthermore, the FirstEnergy and AEP West Virginia companies would have excess capacity over the next several years – exactly the time period during which regional electricity market prices are projected to be low. Yet the West Virginia regulated subsidiaries have made no effort to negotiate a fair price for these plants or seek alternative options.